"Celebrate, Regenerate is a fan-created non-profit book which will celebrate the last 50 years of Doctor Who! Their aim is to follow in the footsteps of the Doctor Who Magazine '200 Golden Moments' special... except this book will be written entirely by as many fans of the show as possible - by you! Everybody is invited to write for then, whether you're 10 or 100! 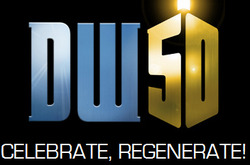 Be part of Doctor Who's 50th!" - Quote taken from home page of site. 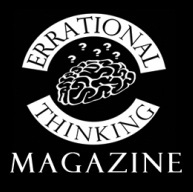 "Errational Thinking is a free, online monthly magazine, which centres around tabletop gaming of all varieties. It's main writers, the Errational Thinkers, are mostly people from Edge Hill University's Tabletop Gaming Society, though we happily accept submissions from anyone." - Quote taken from home page of site.